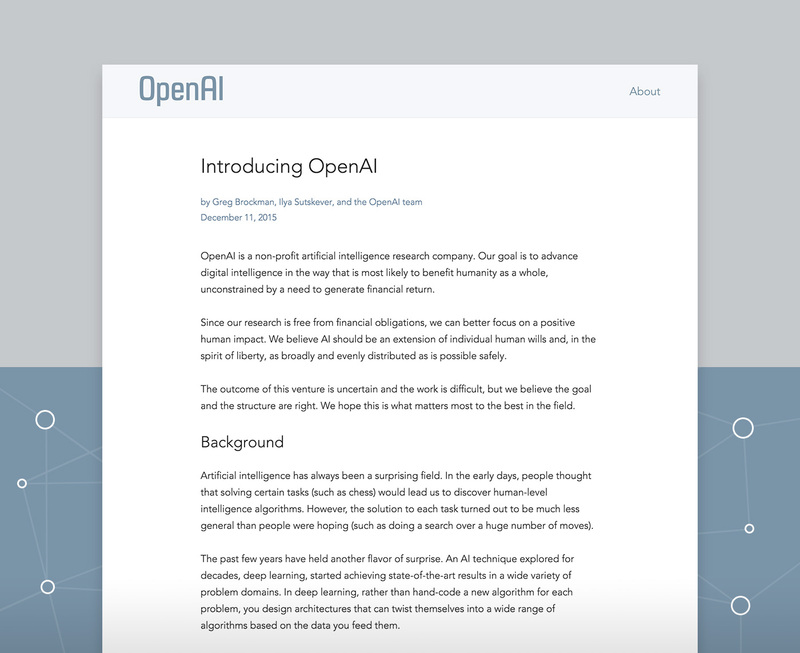 OpenAI is a non-profit artificial intelligence research company started by the top leaders in the tech industry, such as Sam Altman, Peter Thiel, and Elon Musk. These founders have contributed a combined amount of 1 billion dollars for the advancement of digital intelligence. I had the privilege to work on their website and I'm extremely honored for the opportunity. This organization will change the world, and I'm glad to have been able to help them with their website. The wordmark was created by Parakeet.